A Gunnison, Utah teen was charged with multiple charges of sexual assault after a hazing incident was taken too far. 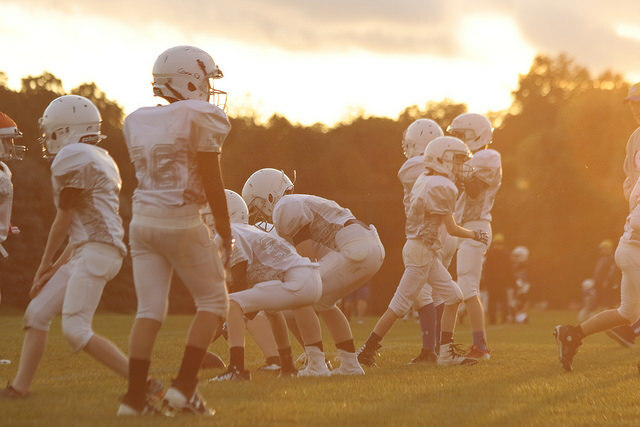 Many youth that join high school sports teams will experience a little bit of hazing. While some incidents are innocently done as a fun way to welcome new members to the team, others cross a line and can result in criminal charges for those responsible. Mid-September, a 15 year old freshmen student at Gunnison High School alerted the high school resource officer to a hazing incident that involved the male juvenile being held down and sexually assaulted by a sophomore following football practice. After the boy came forward to authorities, other victims soon followed suit and the 16 year old sophomore was arrested for six first degree felonies as well as five second degree felonies related to the sexual abuse. iv. Involves any activity that would subject the individual to extreme mental stress, such as sleep deprivation, extended isolation from social contact, or conduct that subjects another to extreme embarrassment, shame or humiliation”. Depending on the severity of the hazing and what weapons of illicit materials are used, hazing may be punished ranging from a class B misdemeanor to a second degree felony. Any teens facing charges for their involvement of criminal hazing are encouraged to seek the legal counsel of a reputable juvenile defense attorney.